Congress and an Exemption from ‘Obamacare’? Is it true that there are bills in Congress that would exempt members and their staffs and families from buying into “Obamacare”? In the final week of a hotly fought Republican primary in North Carolina, one congressional candidate accuses his rival — in a mailer sent to GOP voters — of being a “Big Money Donor” to Democrats. And he accuses another of breaking a tax pledge. But we find both claims by wealthy businessman and former state Sen. Robert Pittenger are off the mark. In truth, financial adviser Dan Barry, the supposed “Big Money Donor,” contributed to 11 Republicans and only two Democrats in national races between 2003 and 2011. “That automatically incites people,” Fusaro said. The unemployment claim was one of several misleading statements we found in the mailer Fusaro sent to Spin Detectors. In a mailer to constituents, a Republican congressman claims 27 “bipartisan bills” have passed the House but “hit a brick wall” in the Democratic-controlled Senate. But most of the bills are not very “bipartisan.” A majority of House Democrats voted against all but five of the 27 proposals, sometimes overwhelmingly. One of these “bipartisan bills” had the support of only four Democrats, and another had the support of just eight. The mailer — sent out by Georgia Rep. Contrary to persistent Internet rumors — which we debunked in "Zero Pay Raise for Congress, Too" on Sept. 25, 2009, and again in "Retribution Fabrication" on Jan. 8 — there was no pay raise for members of Congress this year. Congress voted over a year ago to deny itself the automatic increase that would have gone into effect in January. And now there will be no pay raise for House or Senate members next year, either. Congress Exempt from Health Bill? Q: Does the health care bill specifically exempt members of Congress and their staffs from its provisions? A: No. This twisted claim is based on misrepresentations of the House and Senate bills, neither of which exempts lawmakers. 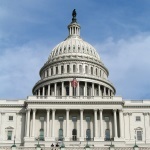 Electronic Medical Records for Congress? Q: Is the Social Security Administration paying $24 million to set up new electronic medical records for members of Congress? A: False. The money is going to speed processing of applications for disability benefits. Furthermore, the money is coming from the stimulus bill and not from “withholding cost of living increases." Q: Did Obama grant federal workers a pay raise for next year when Social Security recipients are getting no increase? A: The president acted to hold down the federal pay raise to 2 percent next year. Health Care for Members of Congress? Q: What type of health insurance do members of Congress receive? Is it a single-payer, government-run system? A: Until 2014, members of Congress were covered by private insurance under the same system that covers all federal workers.